Cannabis companies in Canada are looking to a smokeless future. From the development of infused drinks and beers, to extractions and edibles, the Cannabis Act gave the government a year to figure out what to do next. Corporate weed is taking this time to race to develop products they can take to market. The risk is that no one is quite sure what that future will look like. 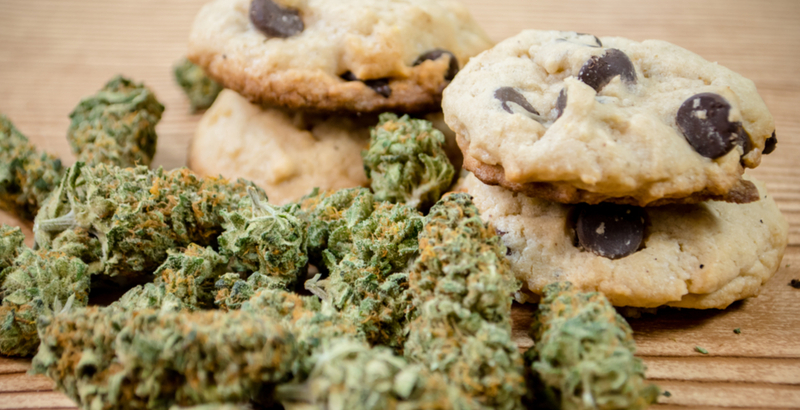 The final version of the Cannabis Act sets a minimum period of one year since legalization for the government to develop laws around edibles before the deadline of October 17, 2019. If not, “edibles containing cannabis” and “cannabis concentrates” will automatically be added to the list of approved cannabis products. Up Cannabis, a brand best known for counting the Tragically Hip as partners, is one of many in the industry making predictive moves about how cannabis laws will change in 2019. The latest venture by their parent company, Newstrike, will have them expanding into food in a joint venture with The Neal Brothers brand’s family of products. Wilgar sees the barriers to entry of the cannabis as a “huge upside” that’s giving them a head start in developing edible products. Innovation takes time, he says, the lead-up to next October could be invaluable for cooking up prepackaged product people actually want to eat. He’s confident in the venture’s ability to adapt, no matter where the laws end up. “We’ve had to pivot on multiple occasions. If you think about the retail environment here in Ontario, it’s completely been flipped on its head in the past three months. It forced us as producers to pivot very quickly. Not everyone share’s Newstrike’s confidence. The CEO of the largest cannabis company in the country, Canopy Growth, demonstrated just that at the Leeds-Grenville Economic Development Summit in Kemptville, Ontario, according to reporting by Cornwall Newswatch. Bruce Linton was answering a question from Brockville Mayor David Henderson, where he repeated previous public sentiments about how he didn’t think provincial regulators would allow edible products in government stores. “In the US, criminals make things like gummy bears and chocolates with that (cannabis) oil in it. They make really ugly, coloured stuff that tastes bad,” he is quoted as saying. He’s not buying the claim that edibles have to sacrifice flavour for potency.